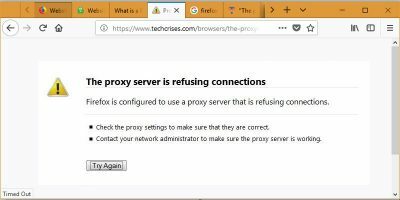 If you are not aware, Firefox 57 has brought some changes that not everyone might be happy about. For example, any add-ons that have not been deactivated will no longer work in version 57. These types of add-ons are called Legacy, and they won’t work because they are made with an older framework. 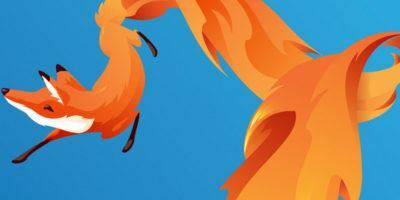 The web extensions used in Firefox 57 and up are built with a new framework and are safer, more reliable, and will continue to work even if Mozilla releases a new version of Firefox. This was something that was not possible with Legacy add-ons. With that said, plenty of those legacy addons have been ported over to web extensions. 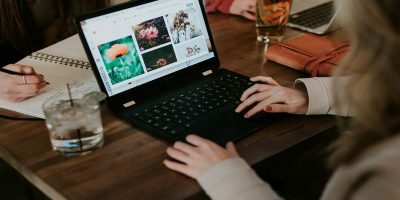 Which modernized web extensions should you check out? Being one of the most popular addons around, you will be glad that Adblock Plus has been ported over to web extensions. AdBlock Plus works as advertised, and it blocks ads on sites such as YouTube, Facebook, and more. At the top-right of your display, AdBlock Plus will show you how many ads it’s blocked on a site. 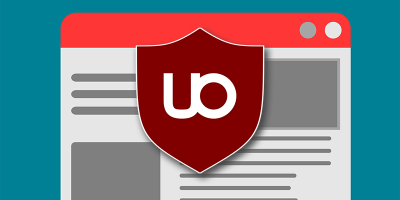 With Ghostery you get an add-on that increases your browsing privacy, speed, and protection. It will minimize trackers, reduce page clutter, and the add-on will also show you how many trackers it’s found on each site. You’ll even get the name of those trackers and the option to allow them to work or not. 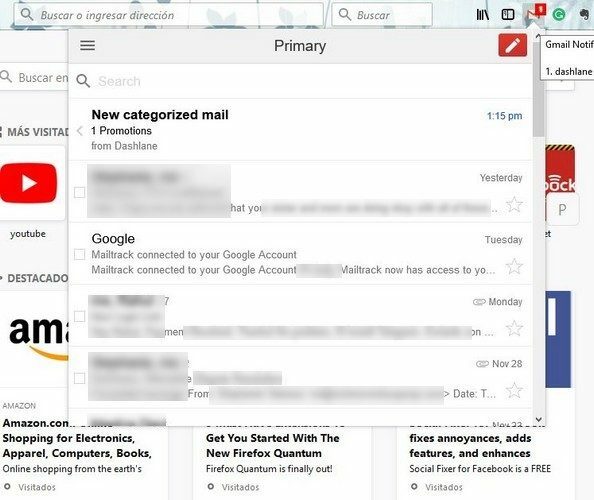 Gmail Notifier is a great extension that will let you know when you have mail, that is if you are a Gmail user. It’s even better than the Gmail extension since it allows you to check, see, and even reply to your emails directly from the extension. You can even see the primary, social, and promotions labels. There’s also a small window that appears to notify you of new mail as well. The list would not be complete without LastPass. LastPass has a huge user base, and it would have been disastrous if they didn’t port their extension over to web extensions. 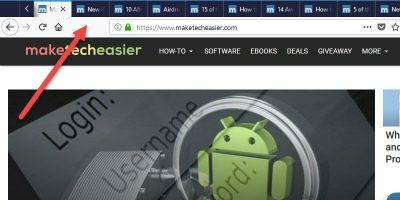 Directly from the extension, you can do things such as auto-fill form data, create a secure password, develop secure notes and decide if you want LastPass to remember all your passwords or only for specific sites. 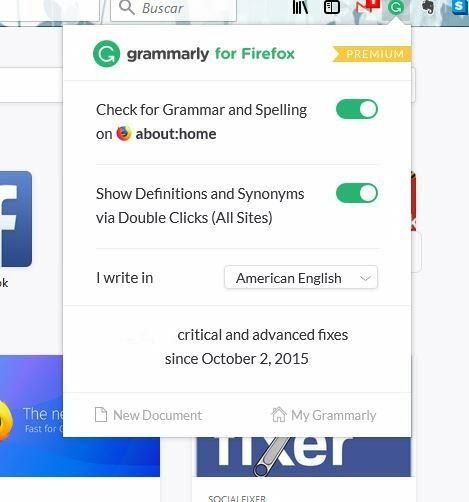 Grammarly is a must-have extension since it can save you from embarrassing grammatical mistakes. This is especially true if what you’re writing is a resume or something work-related. The free version will help you catch the fundamental errors, but if you want it to find the more advanced mistakes, you’ll need to upgrade to premium. By double-clicking on a word, you can also get synonyms and definitions for any word. The ForecastFox extension will always let you know what the temperature is on the browser icon. Click on the browser icon and get information such as a seven-day weather forecast and detailed information for the weather that day. It will let you know the humidity, UV index, Winds, Visibility and more. There’s also a real-time weather map that can show you if a storm is headed your way. Forget about writing down or copying what you see online. Evernote Web Clipper can take a good quality screenshot and automatically save it for you. It allows you to keep the article, the simplified version, the entire page, bookmark it, or take a screenshot. With a screenshot, you can add all sorts of shapes, highlight, blur out areas, crop and more. If you want to enjoy a secure browsing experience, then HTTPS Everywhere is a must-have on Firefox. It will force any site that supports HTTPS to use it automatically. Once you enable it, you can forget you even have it. To enjoy your YouTube in HD, definitely add YouTube High Definition to your extension collection. 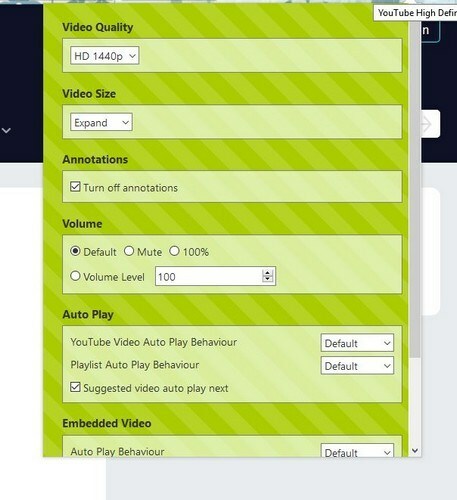 It will allow you to automatically play the video in HD and get rid of those annoying annotations as well. You can also change things such as the video player size to full screen, auto-stop/mute videos, and expand, shrink, and choose default. 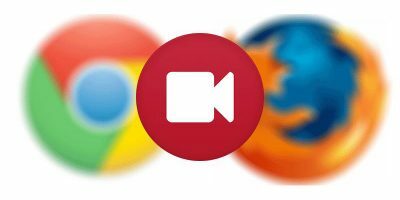 With over 3 million users, Video DownloadHelper is one of the best Firefox extensions out there. You can download video from sites such as YouTube, DailyMotion, Facebook, Vimeo, Periscope, Vine, Twitch, UStream and much more. 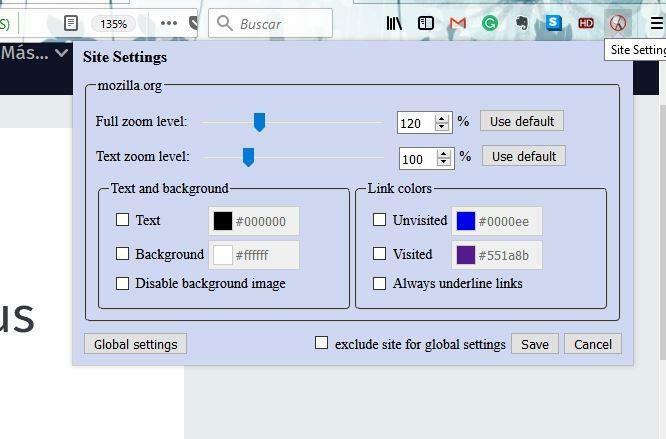 You can also get a full browsing session with the option to highlight the mouse position and make a video out of it. With NoSquint Plus, you can make the text as big as you want and even change the color on any site. Changing the background color is also possible on the website of your choice. Use the sliders to zoom in/out on the site and to increase the text size. The Text and Background section is where you can choose what color you want the background and text to have. You can also assign links any color you want. Don’t forget to hit “Save” when you’re done. If you regularly shop online, then Honey will surely come in handy. It’s a convenient extension that will help you save money by getting the best price possible. The extension will find and use coupons on its own, so you get the lowest price possible when checking out. 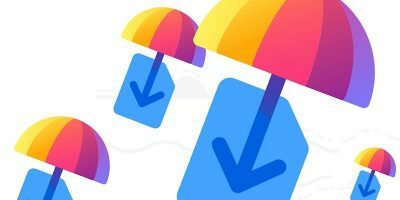 You’ll get the best coupon codes over 10,000 stores, and you can also get alerts from Amazon when something you want is on sale. As a Firefox user, you have access to an extensive amount of great extensions. With so many out there, it can be quite a challenge to know which ones are worth trying out. Which one do you think you’re going to start out with? Share your thoughts in the comments below. 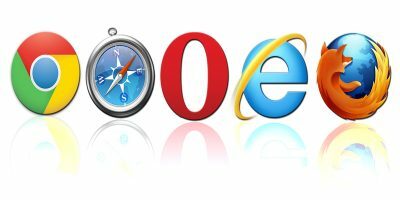 The add-ons will continue to work only until Mozilla changes the framework again. I currently use: Blur, Ghostery, Privacy Badger, HTTPS Everywhere and uBlock Origin. Ghostery is owned by Evidon, a company that collects and provides data to advertising companies. It has a feature called GhostRank that you can check to “support” them. The problem is, Ghostery blocks sites from gathering personal information on you—but Ghostrank will take note of the ads you encounter and which ones you block, and sends that information back to advertisers so they can better formulate their ads to avoid being blocked. The data is anonymous, and Ghostery still does everything it promises to do to protect your privacy. Also, one should check out SignalHire. It is a contact finder tool with a help of which one can get verified email addresses and phone numbers from any social network profile. The Add-On can be activated on LinkedIn, Facebook, Twitter, GitHub, G+ and MeetUp.